Acrylic pouring is a technique that you may have seen on canvas. Did you know that you can use this same paint pouring technique on any surface? Yes even on mason jars! I even have a new product for you that makes this project even simpler. This post is sponsored by Decoart, however, all projects and opinions are my own. 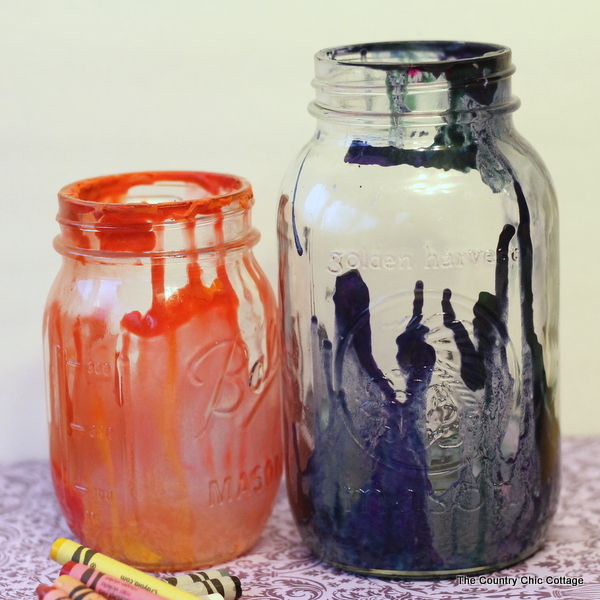 This post is also a part of mason jar week where we are sharing fun mason jar crafts all week. You can scroll to the bottom of this post to see today’s ideas or head to the posts from day 1, day 2, day 3, and day 4 if you missed any of the fun. 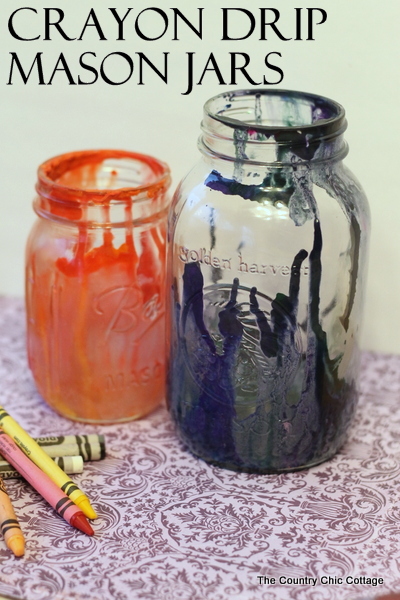 I am kicking off mason jar week with some painted mason jars. 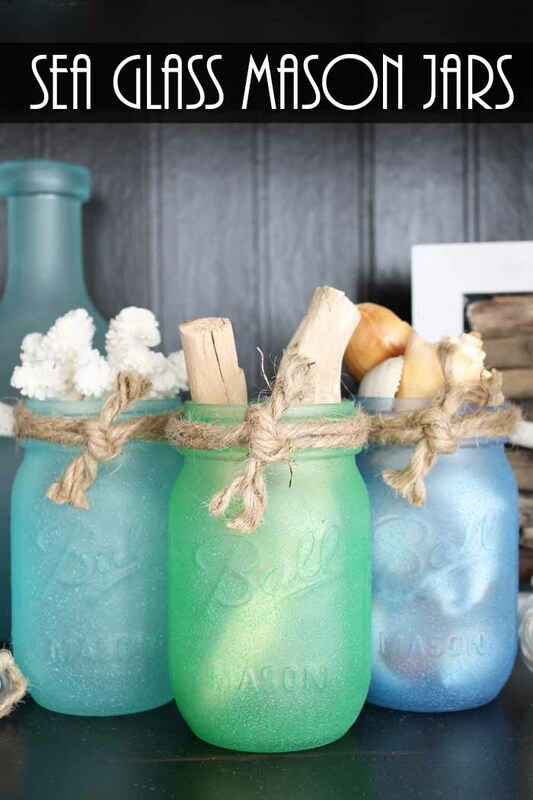 I fell in love with this sea glass paint and just had to use it to paint a trio of mason jars. 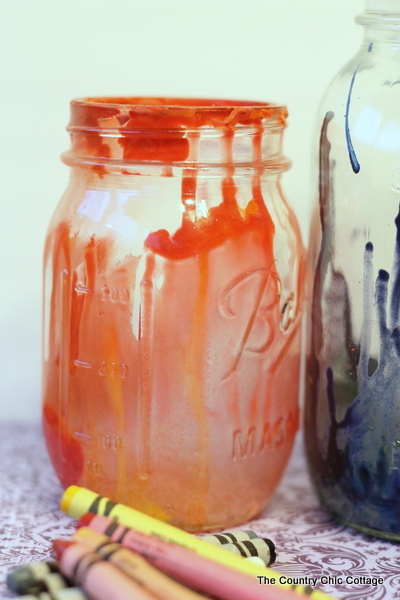 Grab your paint and your jars and make a few for your home. They look gorgeous in beach or nautical themed rooms! 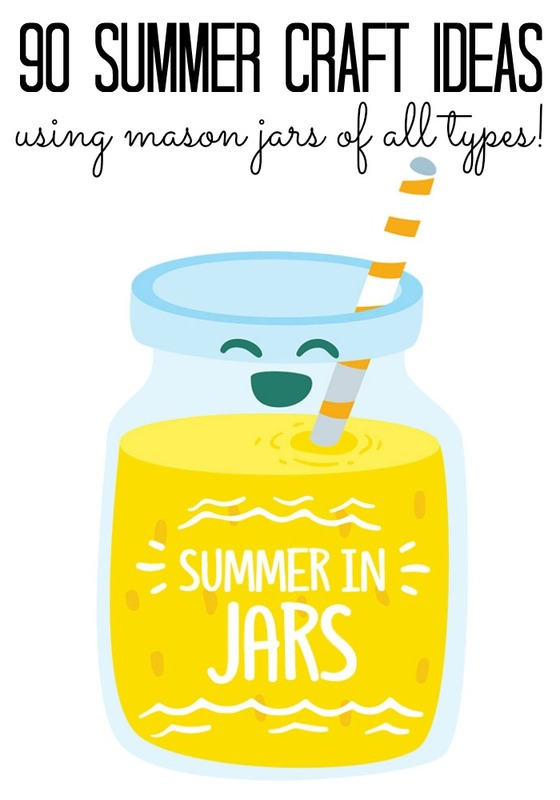 Be sure to scroll to the bottom of this post and see what mason jar ideas the other bloggers in this series have for you today as well! You can make your own wedding mason jars in minutes with some cut felt and a little twine. Okay, maybe you are not planning a wedding but these jars are just too cute to resist for any occasion. So, I am actually in two blog hops today. One is for crafts made with items from the dollar store. The other is for quick 15 minute crafts using felt. This fits in with both of those! That is what I call a win-win! You can also see more great ideas at the bottom of this post so don’t miss those. Want to catch up with the rest of the week of Craft Lightning? Be sure to see the posts from day 1, day 2, day 3, and day 4.
next post: Felt Crafts: Over 40 Ideas to Make Today! 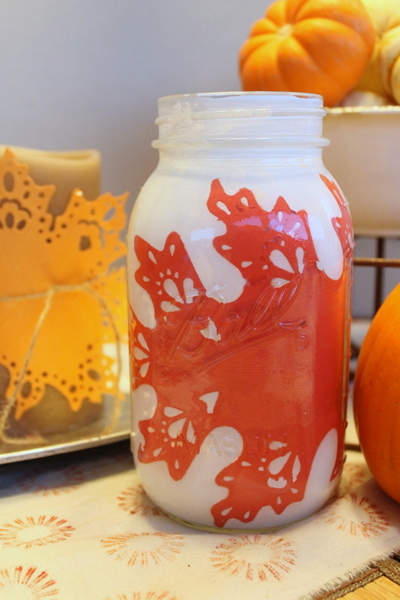 Decorated mason jars are perfect for any season in my opinion. I thought I would make a quick and easy version for summer today. 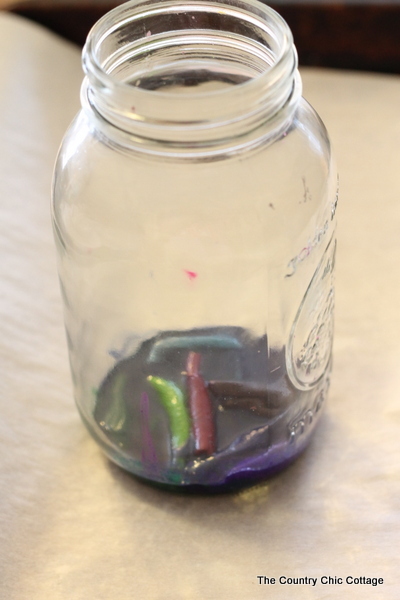 These jars are great for the center of your table this Fourth of July or on a mantel to celebrate the season. 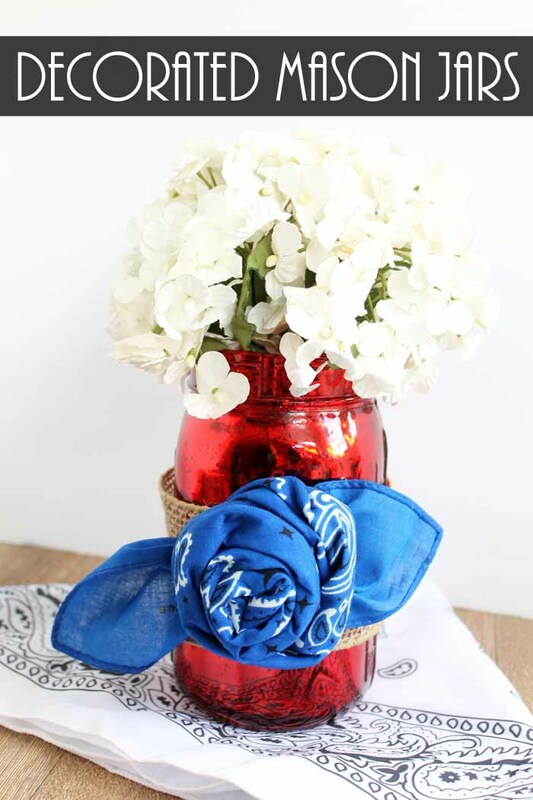 Make a rosette from a bandanna to decorate the front in just a few minutes. 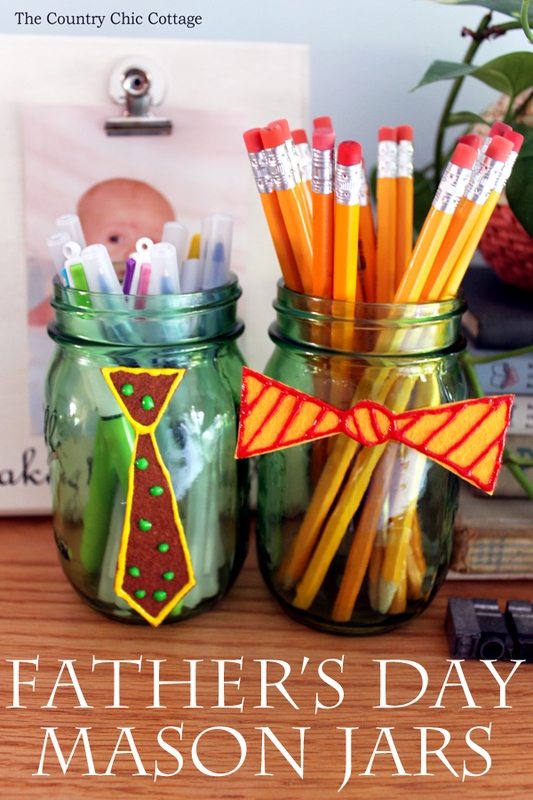 We have been sharing DIYs for summer all week using mason jars. I thought I would share all of the links here with y’all today. If you are looking for some simple craft ideas for summer, this is definitely the place to be. 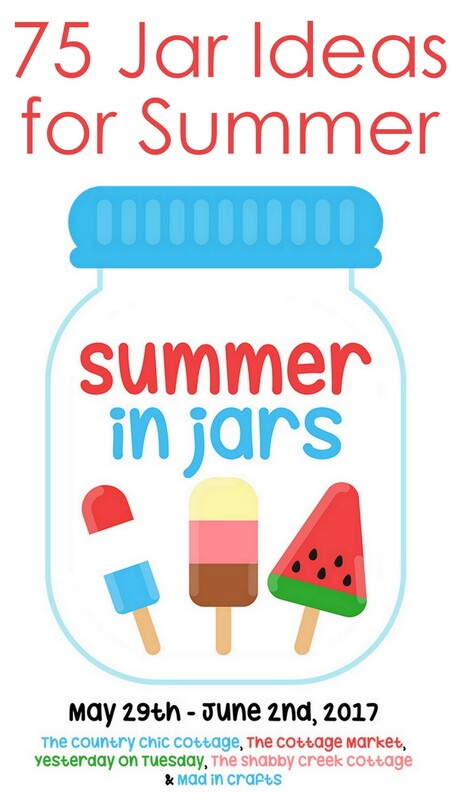 Grab your jars and get started on some of these fun projects. You will love adding these crafts to your home decor or we even have a few recipe ideas that scream summer. Y’all enjoy! next post: Lemonade Cupcakes: The Best Recipe Ever! This utensil organizer is perfect for your kitchen. 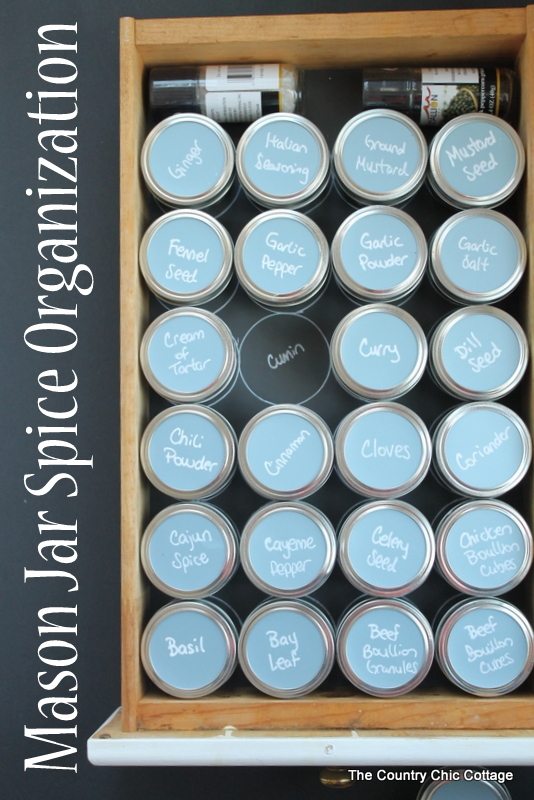 It is a great way to use mason jars to organize in the kitchen. 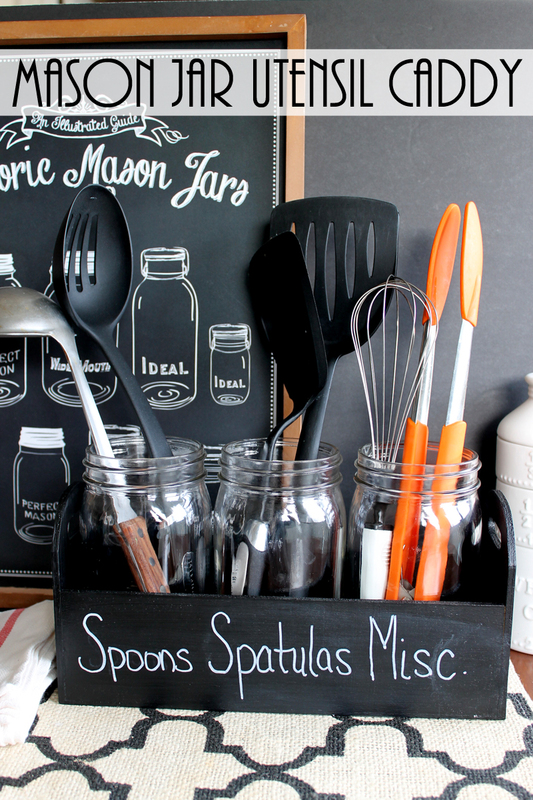 Plus it is a chalkboard surface so you can change it up as often as you need to! Grab the supplies below and get started on making one for your home today. 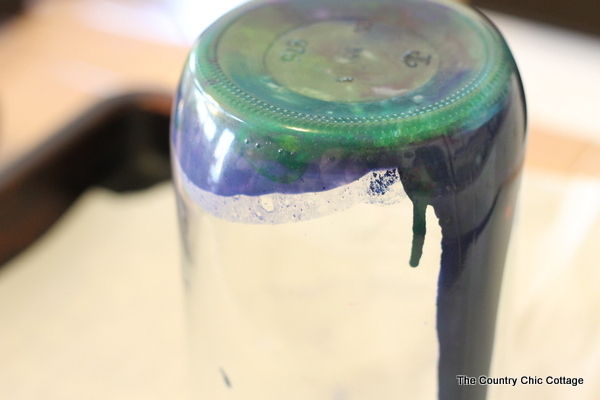 previous post: Slime for Kids – ocean slime with NO Borax! next post: Burlap Wedding Ideas – perfect for rustic weddings! 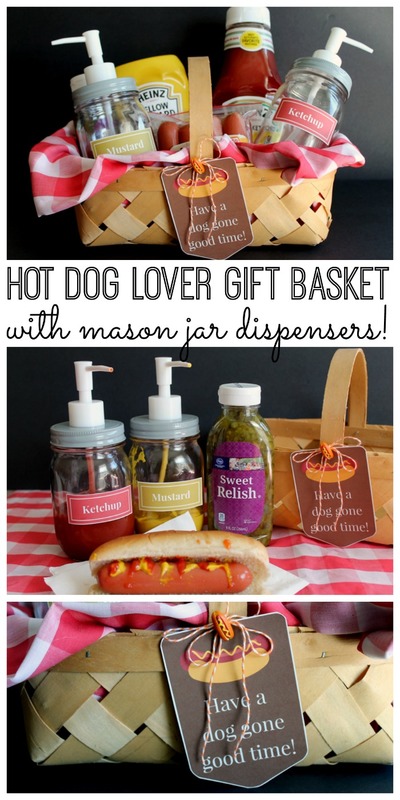 Hot Dog Lover Gift Basket Idea – with mason jars! Y’all are going to love this hot dog lover gift basket idea. This is perfect for anytime of the year. I have a fun idea for you to include some DIY condiment dispensers with it as well. 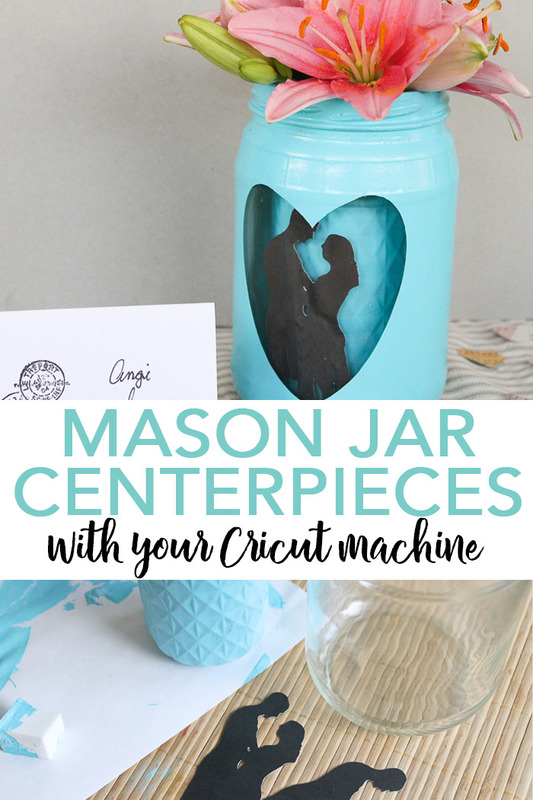 You know for mason jar gifts week I just had to include some jars with this gift idea. If you want more ideas for gifts in a jar, scroll to the bottom of this post to see the ideas from my partners for this series. Also stay tuned as tomorrow I will round up the entire series in one post! previous post: Taco Lover Gift Idea – fun gift in a jar! Wedding invitations can be pricey! 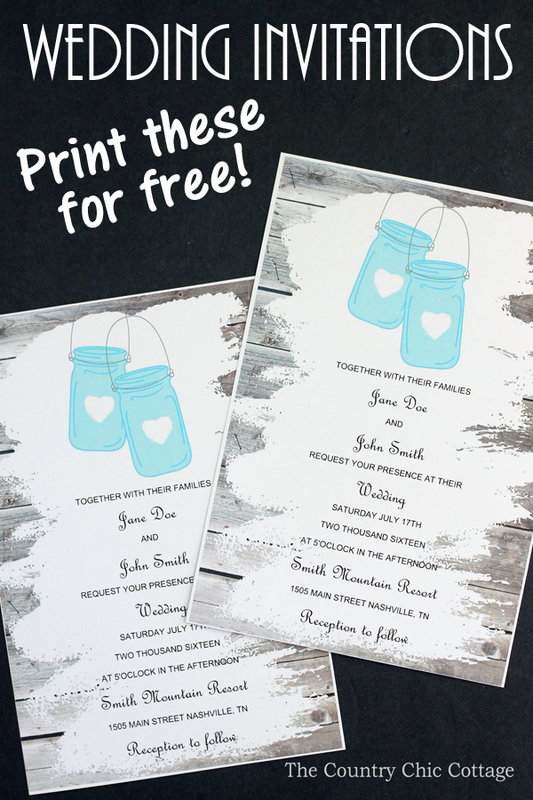 But I have these wedding invitations with mason jars that you can customize right here and download for FREE! What!?!?! Yep! Download yours today then have them professionally printed at a store near you. Your guests will love these wedding invitations and you will love how cost effective these are! These are a part of mason jar wedding week so be sure to scroll to the bottom of this post for even more great wedding ideas from our blog partners for this series! If you have missed any of the series this week, be sure to check out the mason jar wedding ideas from day 1 here. It is the second day of Halloween mason jar week y’all. I am making a craft that might take you two minutes to complete. 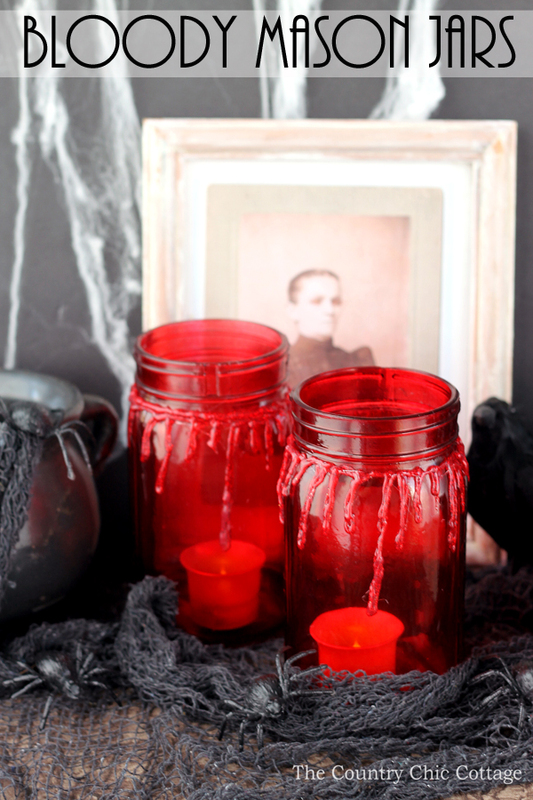 These bloody mason jars are perfect for your scary Halloween decorations. You will only need two supplies to make your own version…oh and your glue gun…but you have one of those right? This post is sponsored by Adtech adhesives however all projects and opinions are my own. 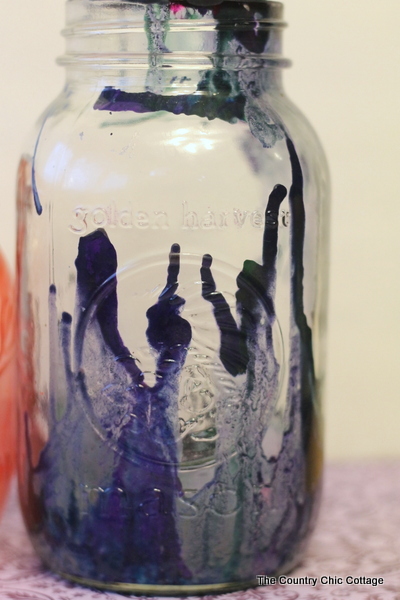 If you missed day 1 of Halloween jar week, just click here to see those great craft ideas. There are a ton of mason jar snow globes around but I thought I would put a summer spin on the same idea. 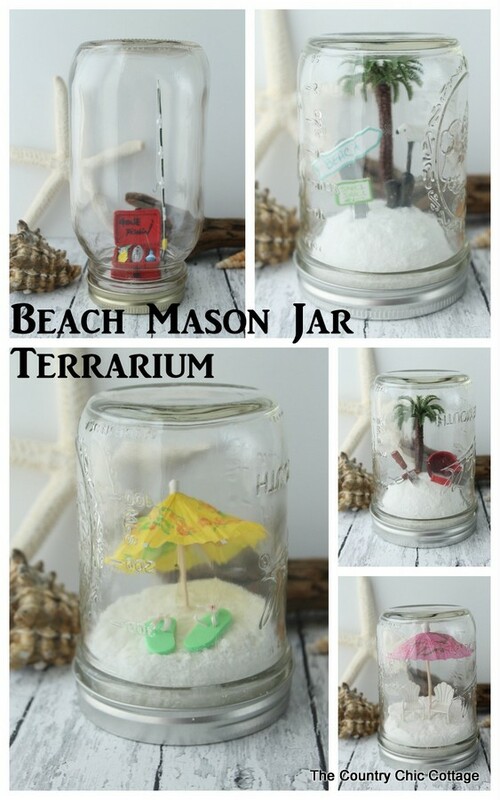 These beach mason jars are a fun addition to your home decor. You can also add them to a nautical themed room for kids or even a bathroom. Grab a few supplies and make your own in just minutes. This one was originally posted over at Crafts Unleashed but I am posting here in case y’all missed it. This is part of a series of mason jar crafts that I am sharing all week. You can see more from my partners for this series at the bottom of this post. I don’t know if I believe it but y’all Easter is this weekend! I came up with a fun way to use washi tape to make stickers and thought I would use the technique on some Easter mason jars. This is a part of my compensated design team work with DecoArt however all projects and opinions are my own. next post: Mason Jar Gift Wrap — print for free! and crayon pieces and lets get started. 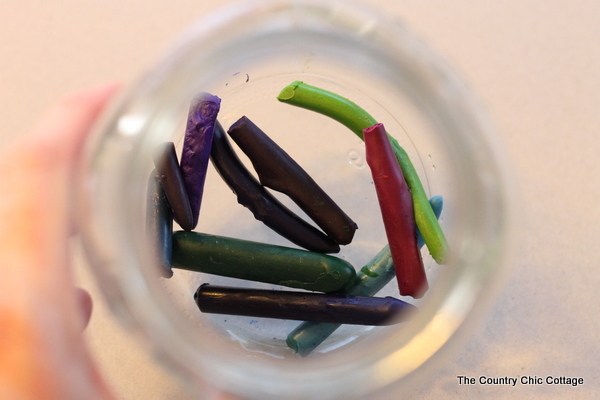 I used a bunch of broken bits of crayon that had the paper removed. 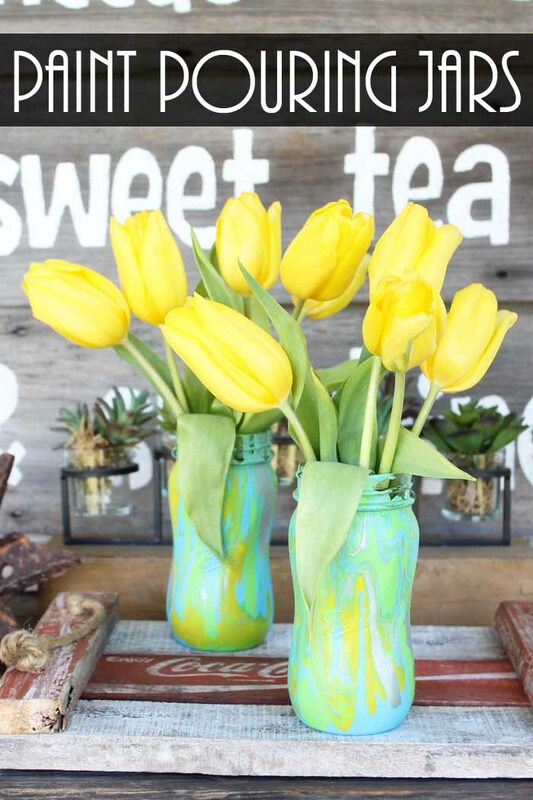 Throw some coordinating colors down in the bottom of your mason jar . Allow to sit and cool for 4 – 6 minutes. It will become slightly hardened but there still should be some liquid. Turn the mason jar upside down onto the parchment paper. 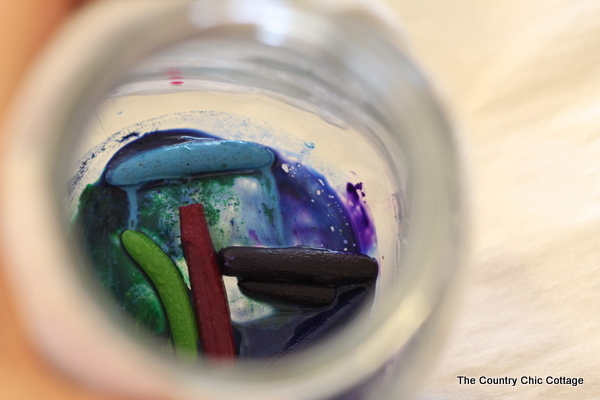 Some of the crayon will stick in the bottom of the mason jar and some will drip down the side. 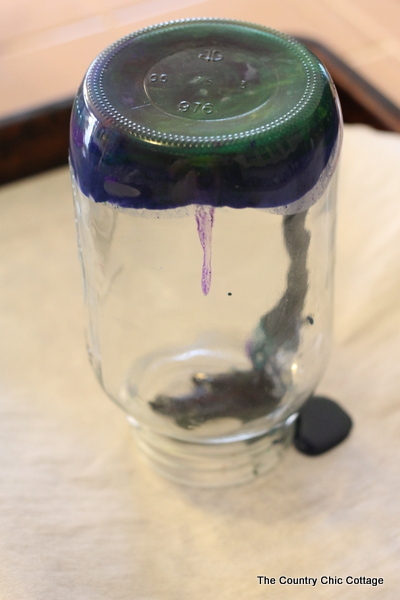 Allow the jar to sit upside down for 2 – 3 minutes. See how all the different colors are still in there just waiting to be released? Well lets release them! Take your blow dryer and apply it to the outside of the jar a few seconds at a time. This will happen…. Continue the hair dryer technique until your mason jar is exactly the way you want it to look. The beauty of these is they are different every single time you make one. I think the kids would love this craft! You can do the first part and let them operate the blow dryer to get the drip effects at the end. 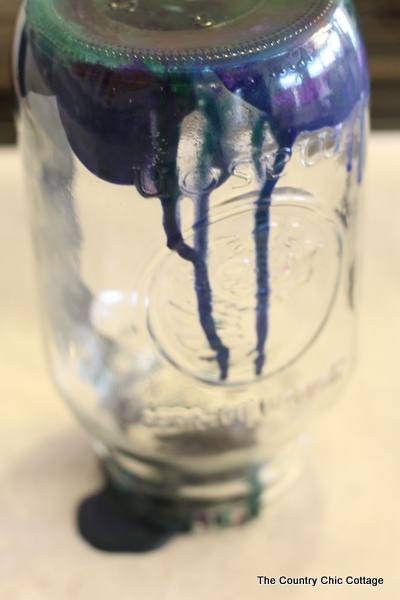 I hope y’all enjoy and will make crayon drip mason jars for your home decor. 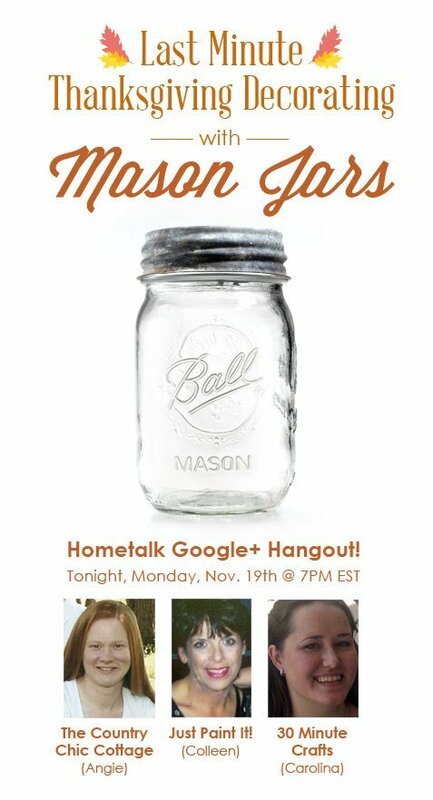 Do you love mason jars as much as I do? 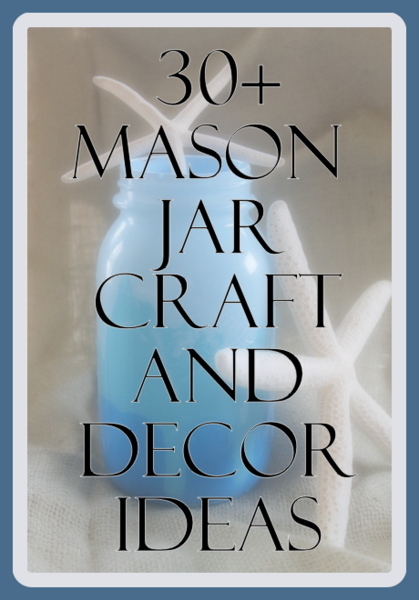 Check out my other mason jar craft and decor projects. Hey y’all! Time for another LIVE crafting video! Don’t worry if you don’t catch us live RIGHT NOW you can always watch the video later. 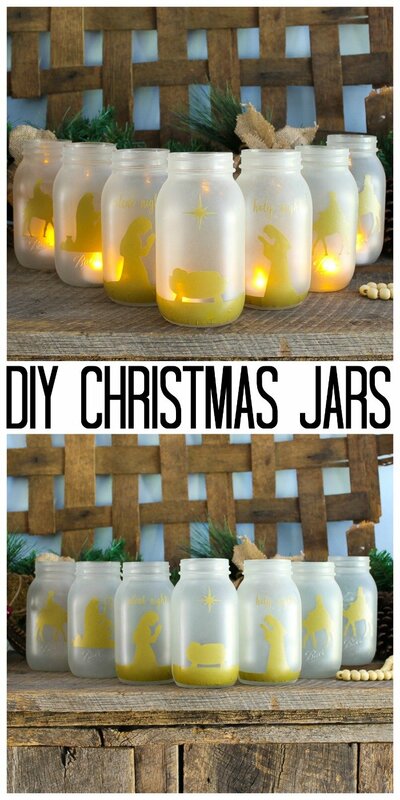 I am going to join up with Carolina (30 Minute Crafts) and Colleen (Just Paint It) to bring you last minute was you can use mason jars for decorating. 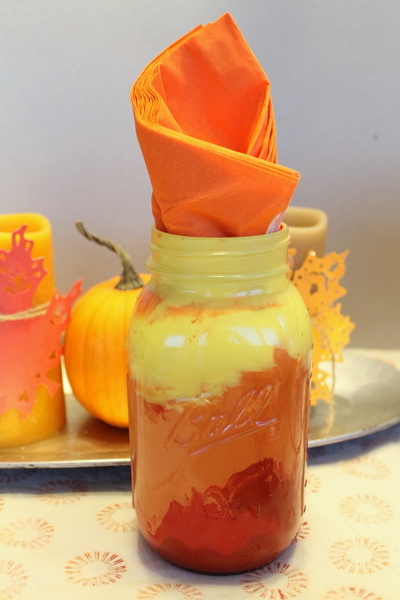 We will be doing some Thanksgiving themed jars but the techniques could easily be transferred to any season of the year. Scroll down a bit for the video. You can feast your eyes on a sneak peak of my projects first! This one has a doily Mod Podged to the inside then painted after that. Perfect don’t ya think? 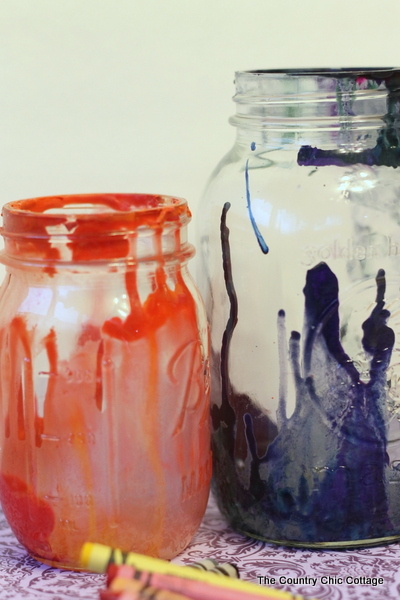 This jar is actually poured paint that is swirled around. The full tutorial for it can be found on this old post. But it looks great for Thanksgiving as well. So tune into the video below for further instructions on the jars above plus more jars from Carolina and Colleen. I will also try to give y’all a sneak peek of some Christmas jars I have coming up next week! 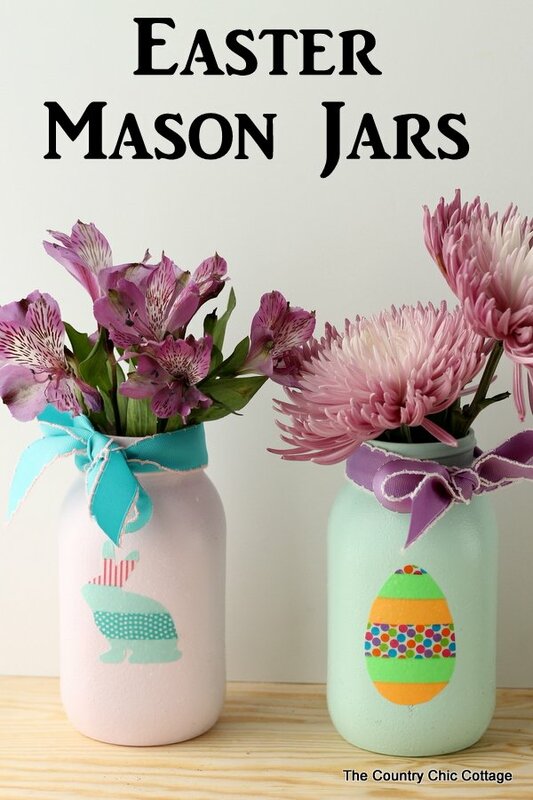 Jen Goode is back again this month with a quick and easy Easter mason jar gift just in time! Whip these up this week and drop in those Easter baskets. 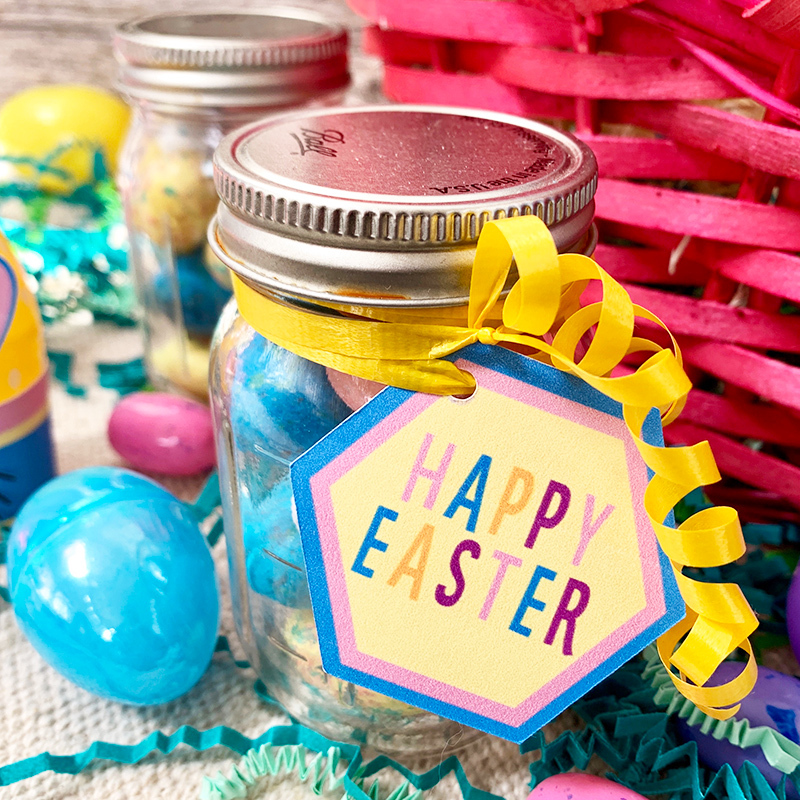 Make cute, mini mason jar gifts for Easter. These cute little mason jars make adorable candy treat jars. They are the perfect size for an Easter basket, party favor or table place setting. Customize your treats with easy-to-make tags using your Cricut. I’ve got a tutorial today to show you how plus an extra free SVG to add even more cute fun! Mason jar centerpieces are great anytime but especially for weddings. And when you can use your Cricut they are oh so easy to make! 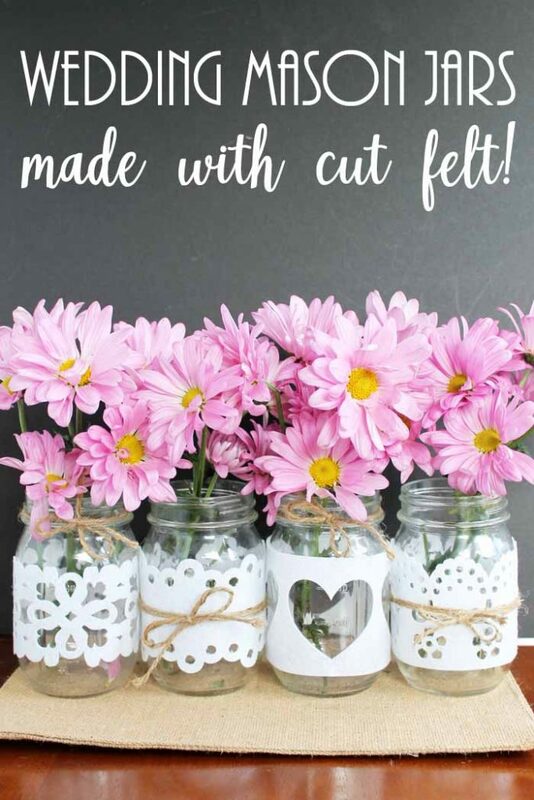 I was inspired to create some mason jar centerpieces with flowers after seeing this idea from my friend Cyn over at Creative Cynchronicity. I loved the kissing couple silhouette and could not stop until I made my own wedding craft with a couple silhouette. Of course, my version had to involve jars but y’all knew that right? This one was first published on June 11, 2013 but I revised it with some further information and wanted to post again because it turned out so great! Mason jar wall decor is perfect in any room! 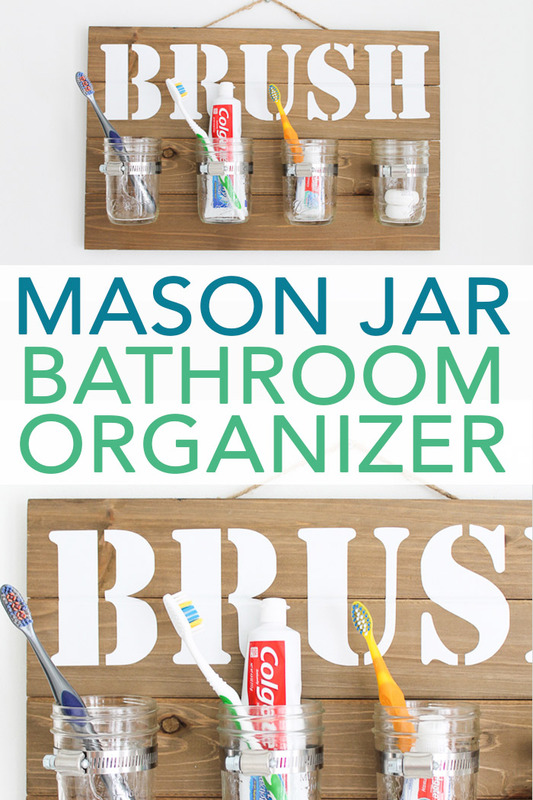 I actually made a bathroom organizer with mason jars and thought y’all might enjoy seeing how to make it. It is actually really easy to make and I have the cut file for you to add the word “BRUSH” as well.